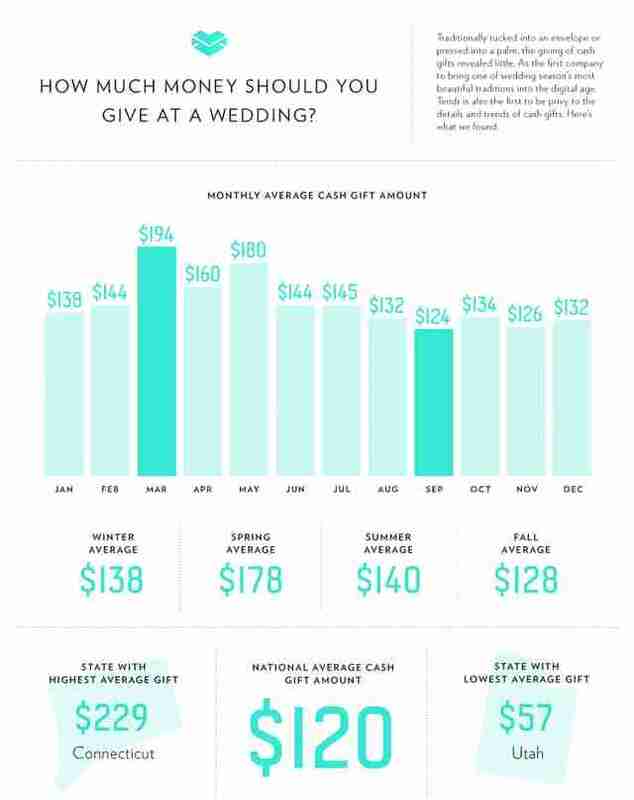 How Much Money Do People Give at Weddings in Each State? Among the list of things one has to consider when attending a wedding (what to wear, how to drink), the wedding gift is perhaps the most nerve-racking. How much is too much? How much is too little? Can't we just give them an oddly shaped $60 cutting board and call it a day? Tendr, a cash-giving platform, has culled data from 4,000 gifts given via its platform in its first year to find out how much people are spending on wedding gifts in each state. The national average wedding cash gift amount is $125, which will not buy you this milkshake machine, but will buy you this "aquatic bowl." Connecticut spends the most on wedding gifts -- because ugh, it's Connecticut -- at an average of $229 per gift. 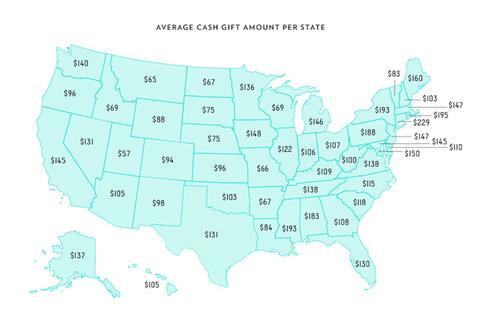 Rhode Island comes in second with $195, and New York is tied for third place with Mississippi -- both states give presents at an average price of $193. In the infographic below, you can see that people tend to spend the most on wedding gifts in March, and the least in September (likely because their bank accounts are drained from the summer wedding rush). So, best to plan that spring wedding, when your friends will totally be willing to spend a lot on you! Lucy Meilus is a staff writer for Thrillist and proposes we just give everyone coal. Follow her on Twitter at @Lucymeilus and send news tips to news@thrillist.com.